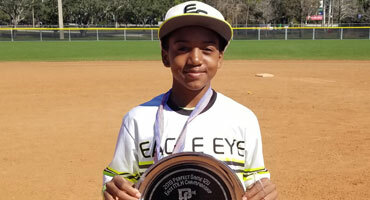 FORT MYERS, Fla. – ESP MATRIX completed a remarkable comeback in the 12u MLK East Championship to take the entire tournament following losing the first game of the tournament. 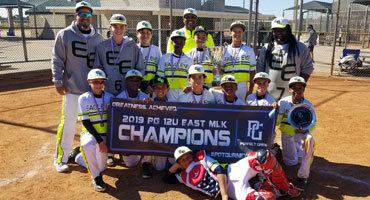 ESP MATRIX not only lost their first game, but was run ruled by a score of 14-2 before winning five in a row to defeat TSD 12u by a final of 4-2 to put a cap on the holiday weekend. 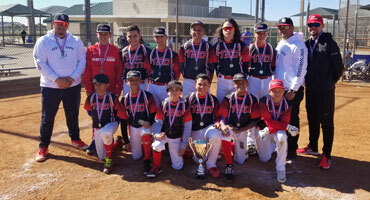 In the championship final, ESP MATRIX jumped out to a quick 1-0 lead in the top of the first inning and from there it was a pitcher's duel until late in the game. 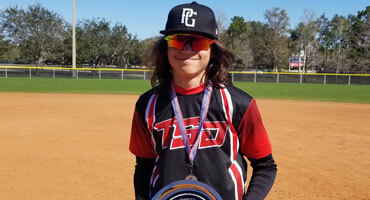 Cameron Codio of ESP MATRIX turned in four straight hitless innings to start the game while Jeryel Oquendo of TSD settled in after allowing a run to start the game. Both pitchers threw a lot of strikes and allowed their solid defenses to work and there were no errors in the entirety of the game. TSD struck back in the bottom of the fifth inning as they looked to take the lead heading into the final frame. Thanks to some key baserunning and heads up plays on the base paths, they were able to push two across and look to end the game in the top half of the sixth. ESP MATRIX, however, wasn't finished as they put up a three spot capped by a home run to take the 4-2 lead and capture the championship. Adrian Areizaga of TSD was named the MVP of the tournament following a strong performance. Areizaga hit .583 over the weekend with two extra base hits and eight stolen bases along the way. 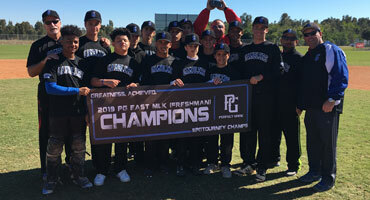 Garvey Person of ESP MATRIX was named the MV-Pitcher following two strong outings. 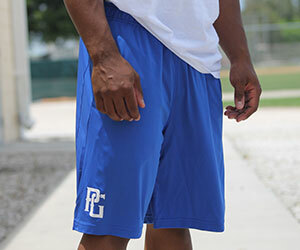 Person tossed seven innings while allowing only one earned run and striking out two batters. 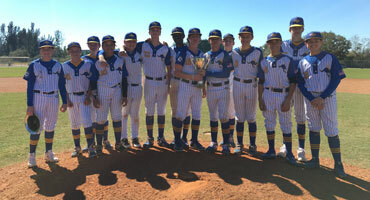 FORT MYERS, Fla. – In a matchup that featured two undefeated teams heading into the championship, the Florida Hurricanes 13u Platinum came out victorious over Kangaroo Court 13 American. The Hurricanes were in control from early on and pulled away late to seal the victory by a score of 6-0. 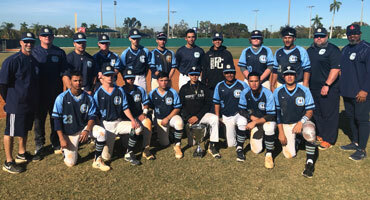 The Hurricanes were dominant during the entire event as they won every game, excluding the championship, by a run rule with an absurd run differential of 64-3. 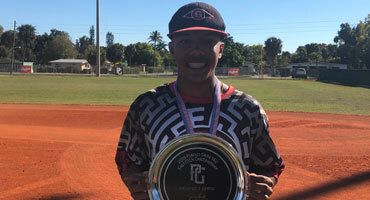 The Hurricanes' pitching staff was again the story to write home about during the championship game as starting pitcher Daniel Gregory turned in a gem with four shutout innings with nine punch outs all while running his fastball up to 80 mph. The bats were held in check for a good portion of the game but exploded onto the scene for a five-run fifth inning. They sprayed three hits over the course of the frame, along with good base running skills and reads, in order to push across their five runs. After that it was just closing out the game for the Hurricanes as they cruised along to a 6-0 final victory. 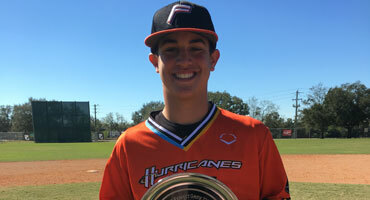 The MVP of the 13u East MLK Championship was Anthony Tralongo of the Hurricanes. Tralongo was an extra base machine over the course of the weekend as he hit four doubles, one triple, and one home run with seven RBI. Rivers Kurland of Kangaroo Court was named the MV-Pitcher. Kurland was, quite literally, un-hittable during his time on the mound with six shutout innings, no hits, and six strikeouts. 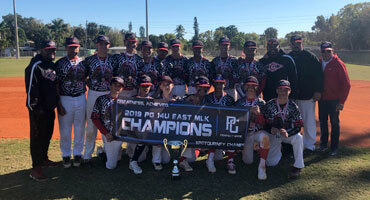 FORT MYERS, Fla. – Genesis Baseball captured the championship of the 14u East MLK Championship with a big victory over the Kangaroo Court Roos American. 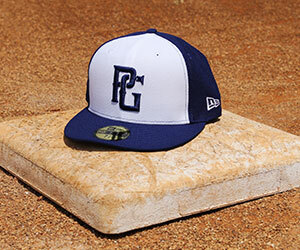 The offensive approach for Genesis was thorough and consistent as they exploded for nine runs over the seven innings to down the Roos by a final score of 9-2. Starting pitcher Nathanael Coupet was excellent for Genesis as he kept the Roos to only one earned run in 4.1 innings pitched. HE didn't have overpowering stuff, but worked within the lower quadrant of the strike zone nicely to generate weak contact. 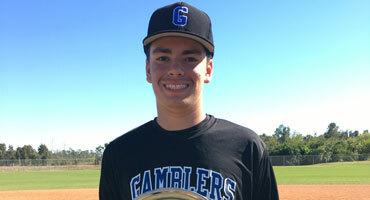 On the other side, Aidan Miller kept Genesis at bay for two innings with an explosive fastball up to 85 mph. The bats came through in the middle innings to knock the Roos' ace out of the game and put some runs on the board. Back-to-back knocks brought across three runs for Genesis, which included the pitcher helping himself as Coupet had a two-run double. They added another run in the fourth with a Pablo Torres RBI single and increase the lead to 4-0 while knocking Miller out of the game. Torres was also one of the better pitchers of the event and came in relief of Coupet to close the door on the Roos. 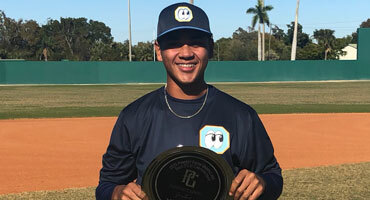 Torres ran his fastball up to 83 mph over the course of the weekend and tossed 2.2 strong innings while striking out two batter and allowing only one run. 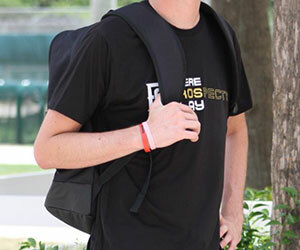 The MVP of the tournament was Pablo Torres of Genesis. Torres led the tournament in hitting on the weekend with ten total hits, a .667 batting average, and four stolen bases as well. 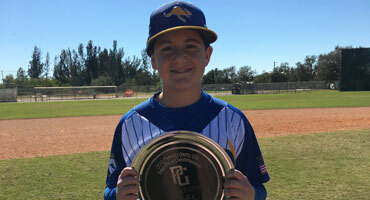 Kodi Deskins was named the MV-Pitcher of the tournament thanks to his strong performance where he tossed 6.1 innings while allowing four hits and striking out seven batters. 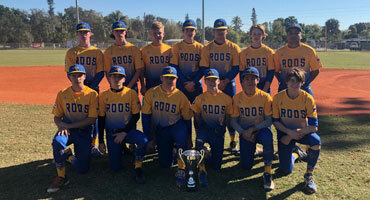 FORT MYERS, Fla. – Gamblers Elite downed the Blue Bombers by a final score of 9-3 in order to capture the East MLK Championship of the Freshman division. The Gamblers were actually down for the first half of the game before performing an uproarious comeback to score all of their nine runs over the last four innings. Starting pitcher Brady Jackson performed admirably over the first two innings while throwing a lot of strikes, striking out two batters, and generating a good amount of weak contact. The relief combination of Matthew Davis and Jonathan Gonzalez was magnificent for the Gamblers as they both combined for five innings while allowing two unearned runs and keeping the Bombers off the base paths. Following a lone run scored in the bottom of the second, the Bombers were up 1-0 heading into the top of the fourth inning. Two straight innings of run-scoring base hits were answered by the Bombers and they were down 3-2 heading into the top of the sixth when the floodgates broke open. 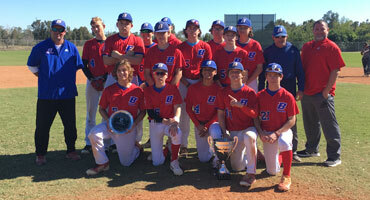 Three runs came across to score which included the big blow of a two-run double off the bat of Tristan Dowling. After four runs in the top of the seventh, the game was all but over and the Gamblers were able to cruise to victory. The MVP of the tournament was Jonathan Gonzalez of Gamblers Elite. 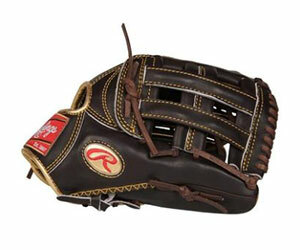 The primary righthanded pitcher hit .400 over the weekend which included eight RBI and one double. Riley Reed of the Blue Bombers was named the MV-Pitcher for the event. 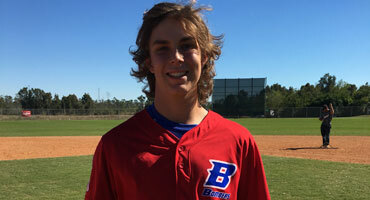 Reed was excellent during his one start on the mound where he tossed a complete game, no-hitter with ten strikeouts. 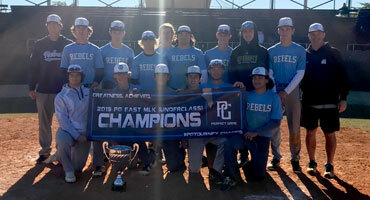 FORT MYERS, Fla. – The oldest classification of the players at the MLK East Championship was the Underclass division and the Florida Rebels secured the banner for that class. 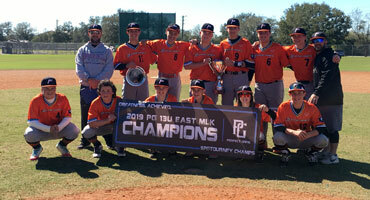 The Rebels out-slugged the Orlando Lookouts Baseball Club to win the championship final by a score of 12-6. Hitting was the name of the game in this one and with a combined eighteen runs and 21 hits, the fireworks were on display on Monday. 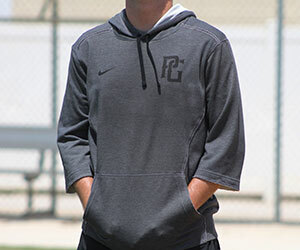 The star of the show for the Rebels, as had been for the entire weekend really, was right fielder Cameron Collier. 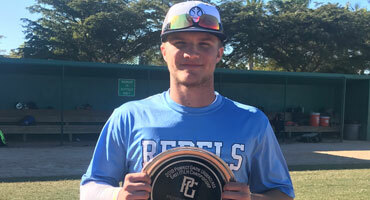 The uncommitted righthanded slugger showed up in a big way again for the Rebels as his three hits, including one double and one triple, knocked in five RBI on the afternoon. The starting pitcher gave up all six runs but the two relievers really sealed the game for the Rebels. Both Camden Martin and Mason Janz combined four 4.1 innings of scoreless baseball which included three strikeouts and, perhaps most importantly, no walks. The MVP of the tournament was Cameron Collier of the Rebels. 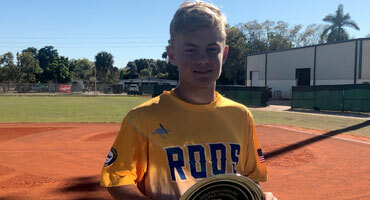 Collier was very impressive on the weekend as he hit .846 with five extra base hits and a tournament high twelve RBI. The MV-Pitcher of the tournament was Shadai Colon as the lefthander tossed 6.1 innings while only allowing one earned run and striking out four batters.